Thank you so much for all who are following me. 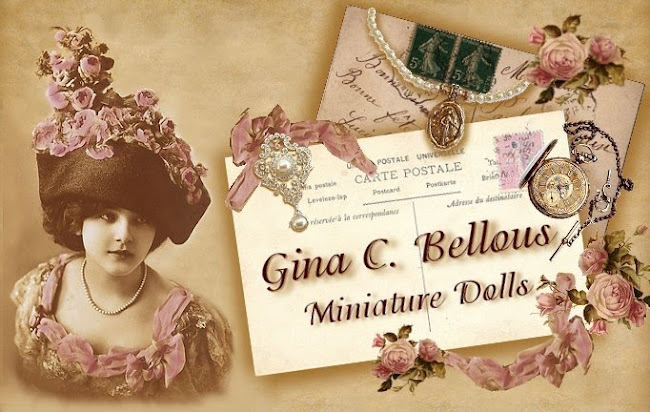 I hope to be posting more often with doll kits and dressed dolls I am working on. When the blog follower count gets to 200, I will hold another contest! 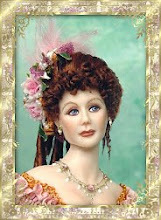 This time it will be for a porcelain doll blank that you can paint yourself. It is a great tutorial for beginners and also advanced doll artists looking for some tips on painting eyes, etc. You will find a list of all the supplies you need as well as the colors and supplies I like to use. You can also apply these tips to using oil or acrylic paints if you don't have access to a kiln. but also one of the MOST frustrating! without removing too much from brush. to leave a radiant circle in the iris. Ahhh, Dannie, here's looking at you, kid! make sure the irises match.This is a really important step. in size, shape, and coloring. I love your work and I love your tutorials!!!!!! You make it look sooo easy. 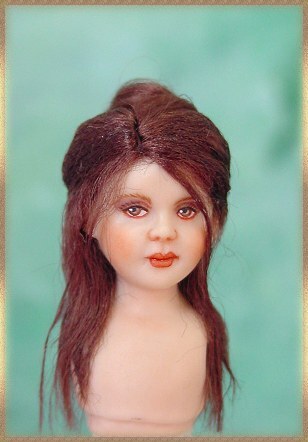 Your doll's eyes are so wonderful and expressive. Thank you for sharing your knowledge with us Gina. How cool that you share your techniques through such detailed tutorials! Thanks Gina, no wonder you have so many ardent followers! Muchas gracias por tus fantasticos tutoriales. Estare pendiente para tu maravilloso sorteo. Thanks for the tutorial, i love your dolls.